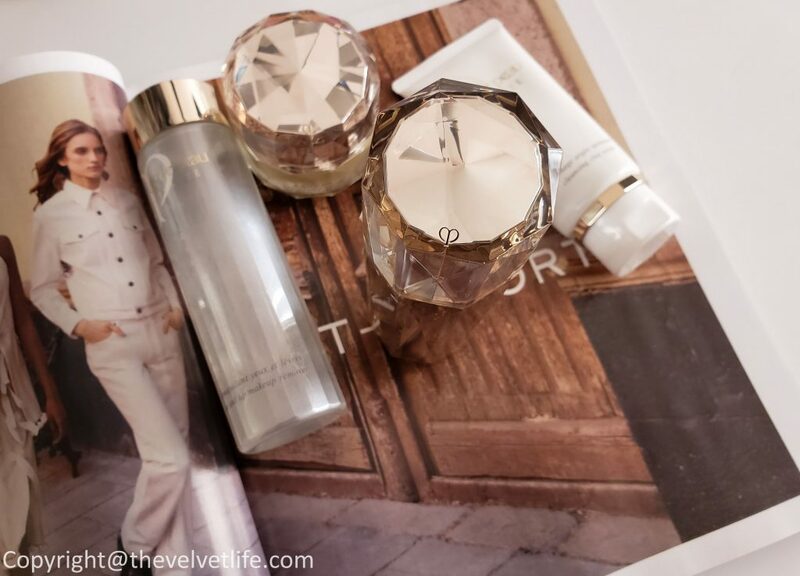 There is a reason why Cle de Peau Beaute – Le Serum is a bestseller product. I am going to share that reason with you guys and what difference I have noticed in my skin since I have started using this serum. You might have noticed I do mention in my posts how much time I have used a skincare product before having my thoughts ready, I will never want to give you guys an update on something that I have not used for good enough time, based on what product it is. For a serum, which works as a treatment and usually works on the deeper level of the skin, I do use it for around or over a month or two before writing about it. 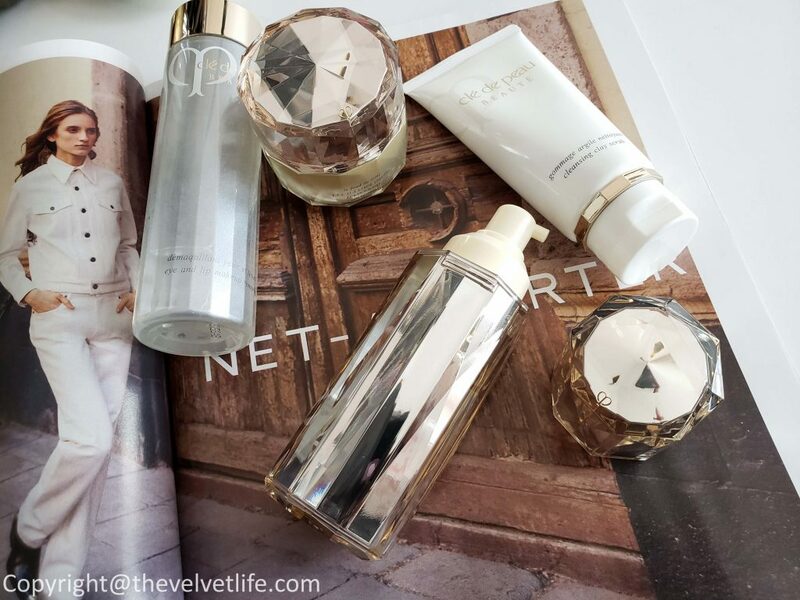 I have used Cle de Peau Beaute – Le Serum for over a month, 4-5 times every week in my night routine and over 3 times in a week during the daily day routine. Cle de Peau Beaute – Le Serum (CAD $390) is described as a luxurious anti-aging serum awakens natural beauty for visible radiance with Chai Hu technology and our exclusive ingredient Illuminating Complex EX. Supporting skin’s natural healthy look, it enhances resilience and strengthens for increased suppleness, hydration, radiance and a soft cushiony texture. The serum is the new reformulated version of original, it has been elevated by not only the packaging, but the formula now contains Essential Prime Complex, an exclusive ingredient to support the fundamental barrier function of skin and lock in moisture for a visibly vibrant complexion. The serum is dermatologist tested and is non-comedogenic, so I was so happy about it as I have congestion-prone skin. Contains the signature skincare ingredient Illuminating Complex EX to diminish the appearance of damage caused by dryness and to bring visible improvement to the skin by providing hydration and a smooth refined texture. Formulated with Essential Prime Complex*, an exclusive ingredient to support the fundamental barrier function of skin and lock in moisture for a visibly vibrant complexion. Delivers vital moisture and softness to skin immediately and enhances firmness upon application. Powered by Chai Hu, Tormentilla Extract, and White Lily to help firm the skin, promote increased suppleness, and reduce the appearance of sagging and wrinkles. Features exclusive Self-Spreading Formulation that provides exceptional surface coverage and promotes thorough absorption to deliver nutrients to the skin’s root. Protects skin from the damaging effects of dryness, reduces roughness and the appearance of fine lines and creates perceptible smoothness. 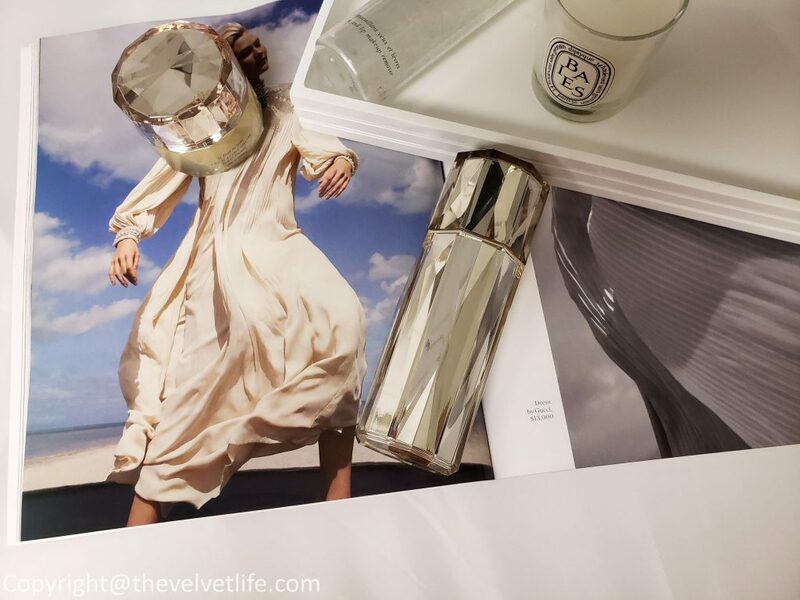 If you see the packaging, it is like a piece of art or jewelry, I am loving the performance, results, and the packaging, it is all in one superb product. I use this serum after cleansing my face. The serum is colorless and fragrance-free, the consistency is gel-like, good to apply all over the face before it gets sunk into it and dries. As approaching my mid-thirties, I am more inclined towards the anti-aging products to maintain my skin. This serum has been a great addition to my skincare routine. My skin has been more clear, radiant, and youthful. I know some of you may not like the word youthful for a thirty-something woman, but I mean in the sense that I am seeing and feeling like the way my skin was in my twenties, it is youthful. So I am very positive that for a little more older skin than mine, it will have amazing results too. For younger age group, I would say it is better to start early than be late. The resurfacing action of the serum is helpful in keeping the breakouts at bay and also to clear out the skin of any pigmentation and imperfections. My skin has been brighter, clearer and luminous. I know you guys commented on my skin in my Instagram stories, this serum has been a part of my skincare routine and I am impressed. I do tend to get some dry flaky areas on the face while I have combination skin, more on the oily side. And while using this serum, I have not noticed any dry areas, skin is hydrated and calm. I really love Cle de Peau Beaute skincare and makeup products as well, I reviewed the Clé de Peau Beauté Le Fond De Teint The Foundation and Clé de Peau Beauté Correcteur Visage Concealer SPF 25 here and Cle de Peau Eye and Lip Makeup Remover, Cle de Peau Cleansing Clay Scrub, and Cle de Peau Cotton here. Cle de Peau Beaute – Le Serum is available at Holt Renfrew, Nordstrom, Saks Fifth Avenue, Cle de Peau Beaute official website.